What can we say? It has really become golden summer – not only with a good weather outisde in this part of Europe, but also with release of the latest Gyllene Tider hit compilation. I think Golden Boys have more hit compilation albums than Roxette by now? 🙂 If you haven’t purchased it yet, you can do it via popular online Swedish shops such as Bengans.se or Cdon.com. 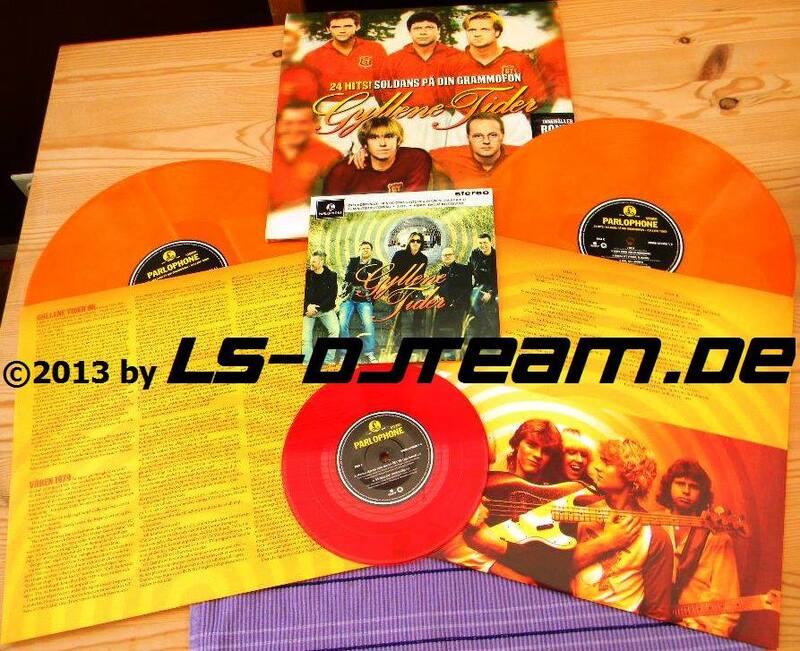 Daniel Kuhn shared his photo of the splending SPDG vinyl edition – including two massivly orange discs and a red EP with 4 bonus tracks with a disco ball cover. If you are more like Henry being disco freak, you can buy it through iTunes and listen on Spotify, Deezer or WIMP. After seeing Gyllene Tider’s Leifs Lounge gig setlist with ”Arabiska nätter” as the opening song and ”Vill ha ett svar!” among the extras, I was thinking about what other surprise song could they include in the tour setlist. Well, I think most of you would agree on ”Henry, dansa inte disco!” would be a great surprise to be performed live. 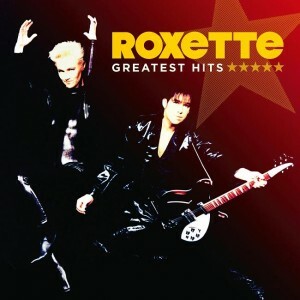 This song so far appeared only on the album (”Jag har förstått allt, men jag kan inte ge några detaljer”) which Per released in 100 copies for MP’s 30th birthday. 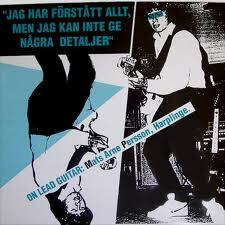 Now it will be available for a wider audience on GT’s new compilation album, ”Soldans på din grammofon”, in 2 versions. Next to a new version (4m 27s long) the other might be the same as the one on MP’s birthday album, since it is stated on the tracklist as a live rehearsal studio version from January 1980 and the b-day album says rehearsal studio, Harplinge, 20th January, 1980. However, the old version is 4m 47s long and Soldans version is 5m 09s long. So there’s a little difference. You can have a listen to the old version by clicking here. In case Henry is joining the guys on stage during the tour, you might want to sing along. If he won’t be dancing disco on tour, you’ll still need the lyrics to sing along in your living room after the album is out. 😉 So either way, start learning the lyrics! Thanks to Peter Mills, you can find an English translation next to it. Henry, dansa inte disco! Henry, Don’t Dance Disco! Hanna var ett rock n’ roll freak. Hanna was a rock ‘n’ roll freak. Henry var en äkta discoboy. Henry was a genuine discoboy. Så Hanna och Henry dom träffa varann, ooh. So Hanna and Henry they meet each other, ooh. Allt dom gjorde, gjorde dom likt. Everything they did, did likewise. Men det fanns ett problem, det gällde musik. But there was a problem, it was about music. hon samlade plattor från fjärran tid. she collected albums from an older time. han dansade disco aaalltid. he danced disco aaalways. Hon hade älskat Elvis och Lennon och Jagger. She had loved Elvis and Lennon and Jagger. Henry han dansa som i trans, ooh. Henry he dances like in trance, ooh. När han stod på golvet hade Hanna ingen chans. When he stood on the floor Hanna had no chance. -Henry, dansa inte disco. Henry, inte disco. -Henry, don’t dance disco. Henry, no disco. Hanna hon var kär i Henry. Hanna she was in love with Henry. Henry var också kär i sin vän. Henry was also in love with his friend. framför den svarta skivspelaren. in front of that black record player. Så Hanna och Henry dom lämna varann, ooh. So Hanna and Henry they left each other, ooh. och Hanna blev hög på rhythm n’ blues. and Hanna became high on rhythm ‘n’ blues. ”Soldans på din grammofon” is released on 3rd July. Here you can check the complete tracklist. 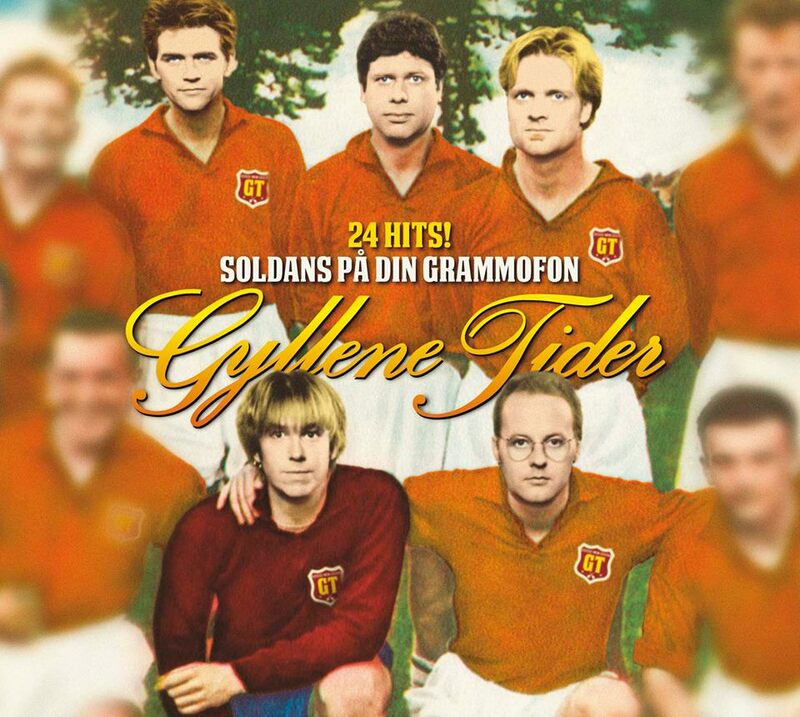 Per revealed the tracklist of Gyllene Tider’s new compilation album, ”Soldans på din grammofon” and it turns out to be a double CD and a coloured double LP. Check the tracklist below. You’ll find 4 bonus tracks on the album. One of the songs, ”45 minuter motorväg” is a leftover from GT’s latest record, ”Dags att tänka på refrängen”. As we already informed you earlier, you’ll find 2 versions of ”Henry, dansa inte disco!” on the album: a live one from 1980 recorded at the rehearsal studio and a new version. The album is out on 3rd July. 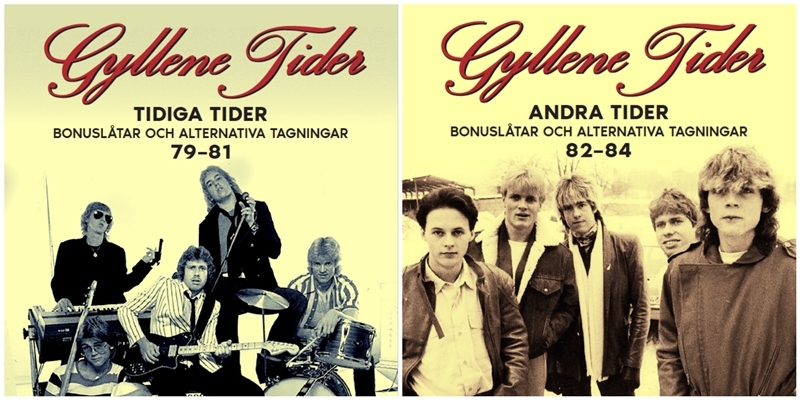 Many of us were wondering why a new version of ”Henry, dansa inte disco!” is not appearing on Gyllene Tider’s new album – Dags att tänka på refrängen –, because we were kind of sure about it being included. 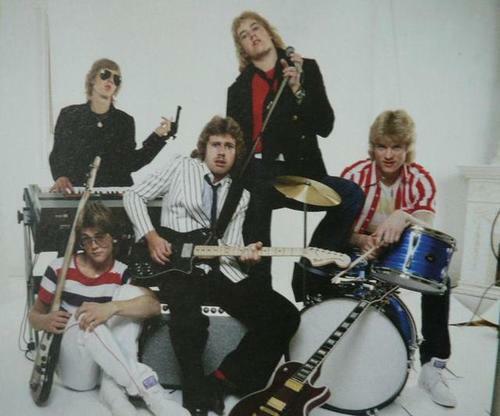 Now we get to know from Gyllene Tider’s Facebook page that this song’s new version together with its 1980 live version played in the rehearsal studio will appear on ”Soldans på din grammofon”, the compilation album of some old pearls. The album is out in June, 2013. ”En soldans på din grammofon” is a line in GT’s big hit, Juni, juli, augusti, so any version of this song will most probably appear on this album, too.